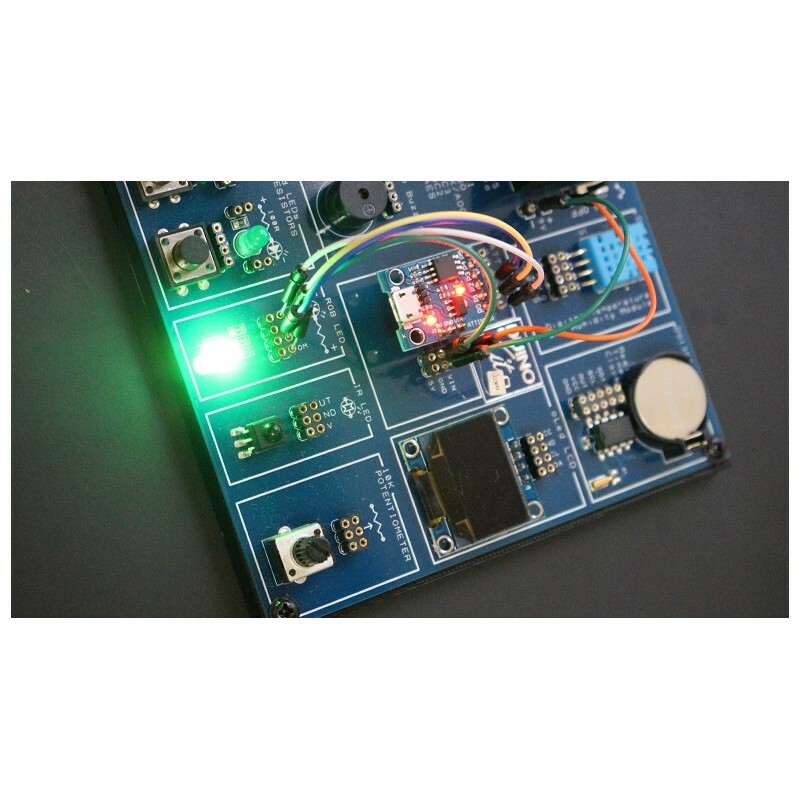 DuinoKit Tiny - DuinoKit - Educational Electronics Learning Kits. 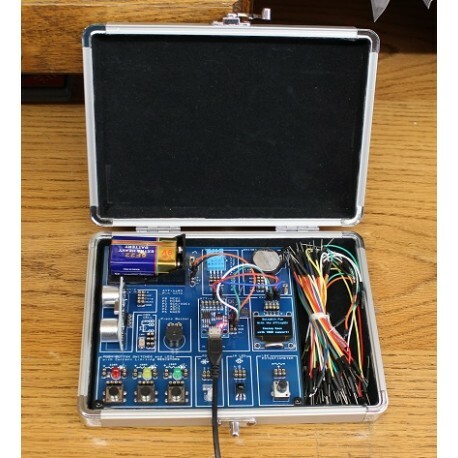 This learning kit utilizes the DigiSpark ATTiny85 microprocessor. 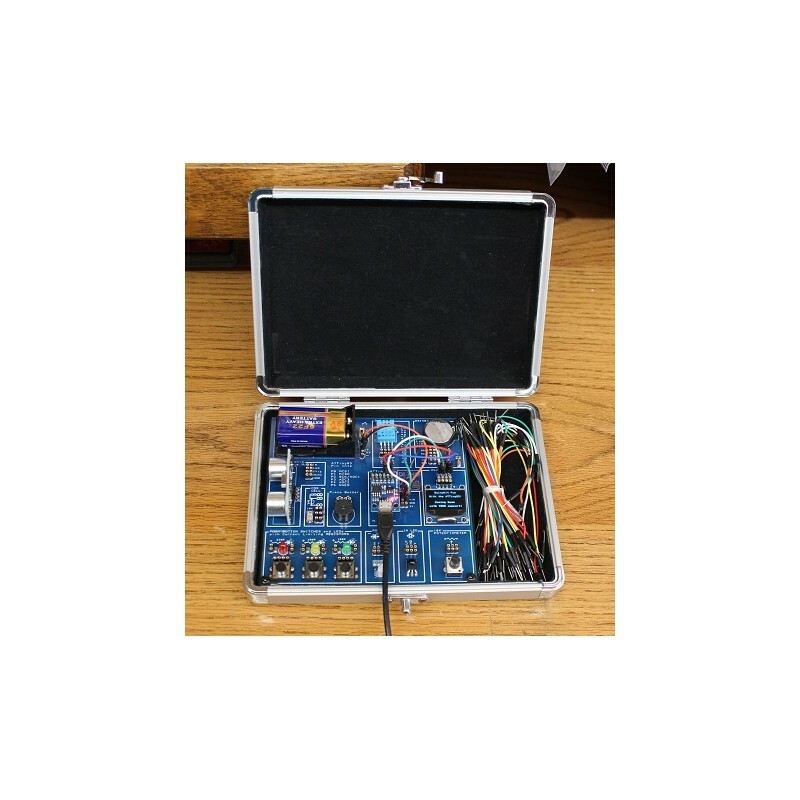 Kit includes 65pcs wire bundle, USB programming cable, carry case and an ATTiny 85 microprocessor chip by DigiSpark. 1. Support For the Arduino IDE 1.0+ (OSX/Win/Linux). 2. Power via USB or External Source - 5v or 7-35v (Automatic Selection). 9V battery holder in place for on-board portable power. 3. On-board 500ma 5V Regulator. 4. Built-in USB (and serial debugging). 5. 6 I/O Pins (2 are used for USB only if your program Actively Communicates Over USB, Otherwise you can use all 6 even if you are Programming via USB). 6. 8k Flash Memory (about 6k after Bootloader). 7. I2C and SPI (Vis USI). 8. PWM on 3 Pins (more possible with Software PWM). 9. ADC on 4 Pins. 10. Power LED and Test/Status LED (on Pin0).